Our National bird..at the first PM's residence! Our National bird..at the first PM’s residence! 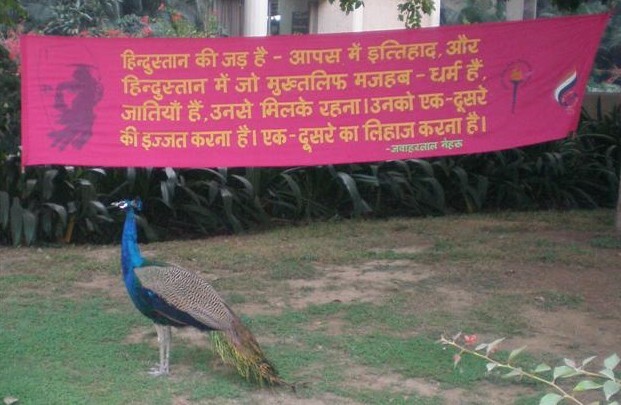 A peacock walks by a banner at the Teen Murti Bhawan, raised to remind us of our ‘unity in diversity’ and calls for greater tolerance and respect for others – which has been the roots of this great Nation! The lush green lawns of the first Prime Minister’s residence host a very large number of peacock population, which can be seen together particularly during evening.